Washington, D.C. is the capital city of the United States of America and the home of many of its governmental institutions and agencies. The President of the United States lives and works in this city, and the U.S. Congress holds its meetings (or "sessions") here to debate and vote on laws. It is also home to over 630 thousand residents. Another 400 thousand people travel into this city during the work week. The District of Columbia in which Washington is located is an area separate from the neighboring states of Maryland and Virginia, and Washington is the only city within it. Combined, the cities near Washington have another 5 million people. Washington was named after the war hero General and 1st President, George Washington. If you'll be in Washington on a business trip, an educational field trip or just for family vacation time, it's a very good idea to book a rental car to drive during your stay. D.C. is a great place to have a cheap car rental, because there are hundreds of things to see and hundreds more to do. At VroomVroomVroom, we can show you all the available rental cars, trucks and SUVs in Washington, and you can compare prices and find exactly the type of vehicle you want to book as a rental for your trip! Free to cancel until 48 hours prior to pickup. Read our Price Promise page to find how how we can provide the best car rental prices. It's advisable to have your own car rental to get around the nation's capital because D.C. traffic can be a real pain. And the public transportation, while very well-organized and easy to access, is often packed! If you need additional assistance, don't hesitate to contact us and we will fill you in with accurate information for your travel car needs in Washington. Useful information on Washington, D.C. If you're traveling to Washington for business or if you're going on a vacation, you may already know that the United States' federal government accounts for about 29% of employment in this city. But this is not all -- many other businesses, such as law firms, civilian and defense independent contractors, non-profit organizations, lobbyists and unions are based in the metropolitan area. The 2nd largest industry in town is tourism! That's not surprising is it? Many people think about Washington and envision people visiting the Washington Monument, walking the steps at the Lincoln Memorial, or taking a picture outside one of the famed government buildings. In 2012, nearly 19 million visitors came to see the sights in D.C., and they spent billions of dollars! Will you spend a little money or a lot when you go to Washington? It's up to you, but we hope that VroomVroomVroom can save you a lot of money when you book a car rental for your Washington visit!! Using the cheap rental car you booked with us, it'll be easy to see other wonderful historic buildings in the areas outside of downtown Washington, as well. Your car rental allows you to drive throughout the District, or even to nearby cities like Alexandria, Virginia, or Arlington, Virginia. It's really up to you! We recommend a trip in your car rental to the Washington neighborhood called Georgetown. There you can see the Old Stone House built on 1765, making it the oldest-standing original building in the capital city. Washington, D.C. is served by three major airports, two of them located in suburban Virginia and one located in Maryland. Ronald Reagan Washington National Airport (IATA: DCA, ICAO: KDCA) is the closest — located in Arlington, Virginia, just across the Potomac River from Hains Point. Explore wonderful attractions and fun activities in Washington, D.C.
Jump in your rental car and visit President Barack Obama, former president Bill Clinton and more political figures at Madame Tussauds Wax Museum in Washington! Check out the imaginative works of French sculptor, Marie Tussaud, and her collection of wax figures that include singers, actors, athletes, and more. Take advantage of the many photo ops with famous celebrities such as Tiger Woods, the late Princess Diana of Wales, and Beyonce! Drive your car rental over to the National Geographic Museum in Washington D.C. and explore the many different learning exhibits, such as the new Terra Cotta Warrior Exhibition! Take a drive in your rental car to the International Spy Museum in Washington. Come check out exhibits such as "School for Spies" and "The Secret History of History". Hope to see you there! 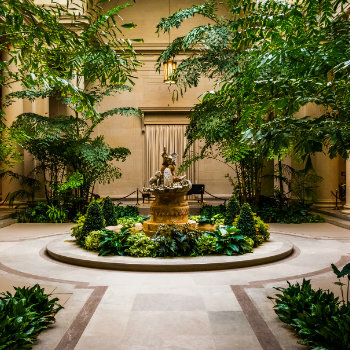 National Gallery of Art - The West Wing features a collection of international masterpieces from the 13th to the 19th century, while the East Wing houses a modern collection of 20th century art. Notable local music clubs include Madam's Organ Blues Bar in Adams Morgan; the Eighteenth Street Lounge in the Dupont Circle district; and the Black Cat, the 9:30 Club, and the Bohemian Caverns jazz club, all in the U Street NW area. The U Street area actually contains more than two dozen bars, clubs, and restaurants that feature jazz either nightly or several times a week. See the Kreeger Museum. This museum, the former home of Carmen and David Lloyd Kreeger, houses works of art created by artists such as Monet, Picasso and van Gough as well as Washington area artists. Tour The Old Stone House. This home, built in 1765 is one of the oldest known buildings still standing in the country. The house commemorates the lives of the ordinary Americans who made our country great. Visit Oak Hill Cemetery. This Victorian garden cemetery is full of extraordinary examples of funeral sculpture. Be sure not to miss the John Howard Payne Memorial, the marble statue of Bishop William Pinkney, or the Van Ness Mausoleum. Climb the “Exorcist” steps. These 75 steps located at 36th street are the steps down which the protagonist was thrown at the climax of the horror film The Exorcist. The 1973 movie was set and partially filmed in the town of Georgetown. The Smithsonian Institution is the place to go if you like museums. It contains around a dozen ranging from the National Portrait Gallery, to the National Museum of the American Indian, to the National Zoo. The National Aquarium is said to be one of the best in the USA. This neighborhood is a wonderful mix of grand mansions, art galleries, sidewalk cafés and unique museums, including the Textile Museum, Woodrow Wilson House and the Phillips Collection. The United States Holocaust Memorial Museum traces the story of Jewish persecution under the Nazi regime from its beginnings in 1933 to liberation in 1945. And, for anyone who's ever dreamed of being a secret agent, the International Spy Museum will have you enthralled with the craft, practice, history and contemporary role of espionage. Bookworms might appreciate that it's also the home of the world's largest library - the Library of Congress - with 26 million books, films, documents and photographs. Though books, Government, embassies, and corporations aside, Washington D.C. is also a lively city, with abundant culture and nightlife. In the heart of the city, you'll find the National Mall. This large, open area features numerous monuments to American leaders and connects the White House and the United States Capitol. World-class performers take the stage at the highly acclaimed Kennedy Center. The John F. Kennedy Center for the Performing Arts hosts the National Symphony Orchestra, the Washington National Opera, the Washington Ballet, and a variety of other musical and stage performances. For outdoor fun, kayak the Potomac River as it winds along the elegant marble tributes to America's great leaders. Northwest of Washington D.C., enjoy a hike or picnic along the Potomac River in McLean in an 800-acre park. Settled on a tree-lined street in the Foggy Bottom neighborhood, State Plaza Hotel offers a refined urban retreat in the financial district in the shadow of the national memorials. Enjoy beautiful art deco decor and residence-inspired suites that feel like luxury city apartments. The ideal hotel for business travelers, State Plaza offers sophisticated meeting space for groups up to 100. Embrace your cosmopolitan home in DC with fully-equipped kitchens and beautifully designed living and dining areas. Stay connected with complimentary Wi-Fi, or host a meeting in our flexible event and banquet space. Just two blocks from the National Mall, our hotel in Foggy Bottom is within walking distance to Capitol Hill, the K Street business corridor, government buildings and international business headquarters. We are a few blocks of iconic attractions, including the Lincoln Memorial, White House and the Kennedy Center. Walk to the Foggy Bottom Metro and explore the Smithsonian Institute. After a day of business meetings, enjoy American bistro cuisine and local foods at our Garden Café. You also join them for Happy Hour or enjoy dining on the outdoor patio overlooking the city. If you are looking for a charming urban oasis in Washington, DC, The Normandy Hotel is the perfect spot for you. Blending Old World charm with modern amenities, The Normandy sits just off Connecticut Avenue, tucked among the stately embassies and tree-lined streets of peaceful Kalorama. The Normandy awakes each day to a wide spectrum or possibilities. 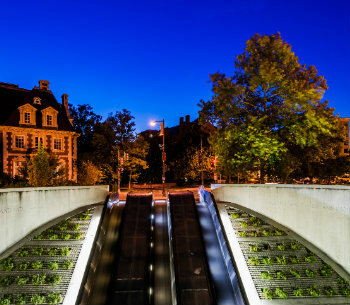 The neighborhood features diverse dining, shopping, and entertainment options ranging from the bistros and boutiques of Dupont Circle to the eclectic cuisine and the independent shops of Adams Morgan. The world-famous museums and sites of downtown are just a little over one mile away, and when it's time to return, The Normandy feels like coming home. Washington D.C. – where races, cultures and languages intermingle like in few other places – is also a great city in which to enjoy multicultural cuisine. Head to Adams Morgan to dine in one of Washington DC's most colorful neighbourhoods! For a European-style collection of food vendors and artisans, visit the Eastern Market. The best bar in the D.C. area is ChurchKey, near Logan Circle. Located at 1336 14th Street Northwest, on the 2nd floor, ChurchKey is a great stop if you want to knock back a cold one with your friends. With a full bar, happy hour, and a good waitstaff, this place has an awesome beer selection and great snacks. Be sure to try their homemade tater tots -- they're great! For more ideas or information about Washington D.C and its surroundings, pop into the Visitors Center located in the Ronald Reagan Building. Avis Fashion Centre At Pentagon City - 1100 South Hayes Street, Arlington, . Budget Pentagon City Fashion Center - 1100 South Hayes Street, Fashion Ctr At Pentagon City, Arlington, . Enterprise Adams Morgan Marriot - 2601 Calvert St Nw, Washington, . Enterprise Arlington Rosslyn - 1560 Wilson Blvd, Suite 150, Rosslyn, . Enterprise Arlington Crystal City - 2020 Jefferson Davis Hwy, Arlington, . Dollar WASHINGTON NATIONAL AIRPORT - 1 Aviation Circle, Washington, DC. Thrifty WASHINGTON DC - RONALD REAGAN NATIONAL AIRPORT - 1 AVIATION CIRCLE PARKING GARAGE A, ARLINGTON, VA, . Hertz Marriott Key Bridge Hle - 1401 Lee Highway, Arlington, . Hertz Crstl Gatewy Marriot Hle - 1700 Jefferson Davis Hwy, Arlington, .